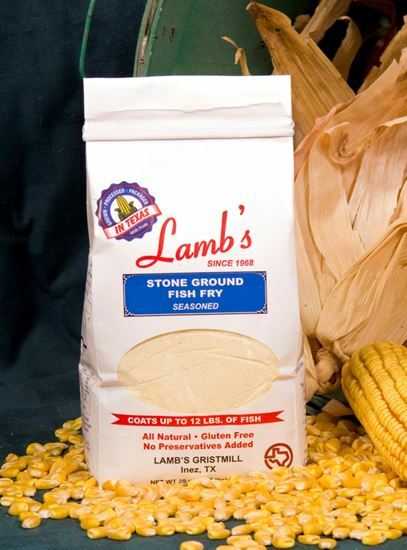 Stone Ground Fish Fry, 20 oz resealable package. Gluten free product. Coats up to 12 lbs of Fish. All natural, no preservatives added. 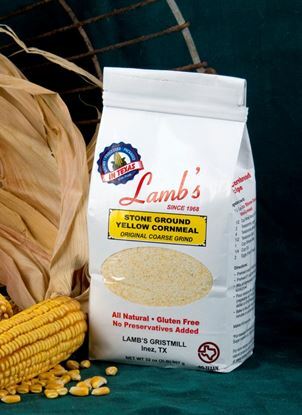 We are honered to have this product on the shelves of HEB. 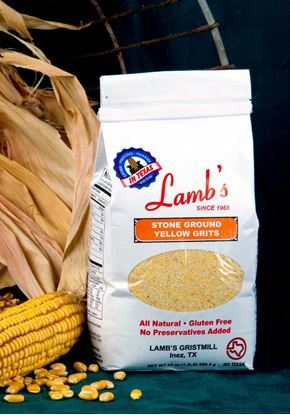 Ingredients: Stone Ground Whole Grain Yellow Cornmeal, salt, garlic powder, red pepper, black pepper, and mustard powder. Wash fish in cold water and let drain. Coat damp fish with fish fry. Deep fry at 375 degrees until golden brown. Tips: For thicker, crispier batter, dip seafood in mixture of 3/4 cup milk and 1 egg beaten before coating with Lamb's Fish Fry. Store unused portion in an airtight container in the refrigerator or freezer. 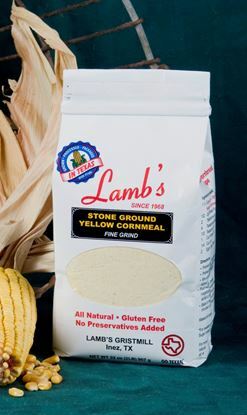 Stone Ground Yellow Cornmeal Fine, 2 lb resealable bag. Gluten Free product. 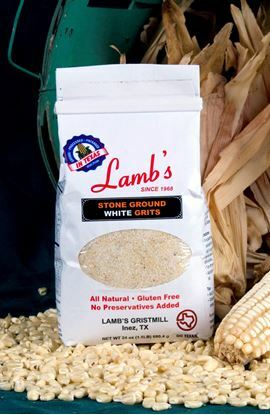 Stone Ground White Grits, 24 oz resealable package. Gluten free product.